Sometimes we recognise home by contrast. We know when we are not home; we miss it. We also recognise the particular ways in which home has shaped us when we are away from home. As usual, it is the little things that give it away. I was in Vienna last weekend and it took me a while – a few bewildered looks, actually – to realise that I was merrily spreading grüetzis all around. I did manage to get my compulsive distribution of Swiss German greetings under control eventually, but wasn’t it only a few months ago that I got rid of the opposite impulse – greeting people in Zurich in a typical Austrian way – so that I would stop being singled out as the foreigner? When did the switch happen – from one home to the other? There were other little things indicating that home might have changed – like the taste of my favourite drink which was not what it used to be; or the fact that the person who made it for me did not recognise me any more. Having a home is a lot about creating and maintaining routines and rituals. When we leave, these are a big part of what we miss. I am usually wary of my ability to create new routines when I move. Surely they will not – cannot – be as satisfying or as special as the old ones. Yet, somehow I manage to (re)build my life around such routines every time. A couple of days ago, I was walking home from my morning ritual, favourite drink in hand, and my mind went to a very similar scene from another morning – in Vienna. Different place, same ritual. I’d come home. Is it just me – being a routine-seeking, habit-cherishing person? Or are we all, to different degrees, programmed to seek home that way, over and over again? How easy is it to get over the essential elements of home and replace them with new ones that become as essential? not seen each other become irrelevant with that one first look. Again, I’d come home. 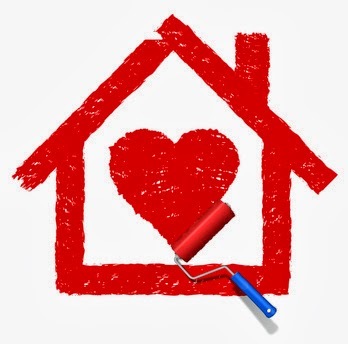 Can your heart be in one place and your home in another? And are the two ever going to coincide when we keep moving ourselves from one location to the next? An obious reaction: home is where your heart is…? I like and share your ability of having your own routines wherever you are. But now another question rises: does home necessarrily need to be a physical place? I used to think the same, but it's not always the case. Our heart can be in many different places – especially if we've moved a lot – but our life and our routines are in one (for most people at least). That can be confusing. Home definitely doesn't have to be a physical place (though it often has a physical component).